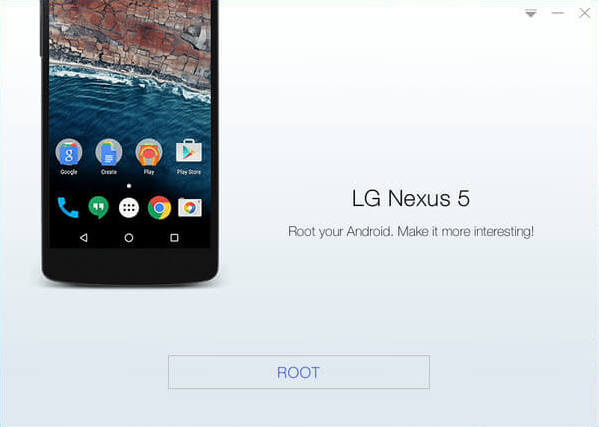 “Root Failed” but still yet, your phone will be rooted. 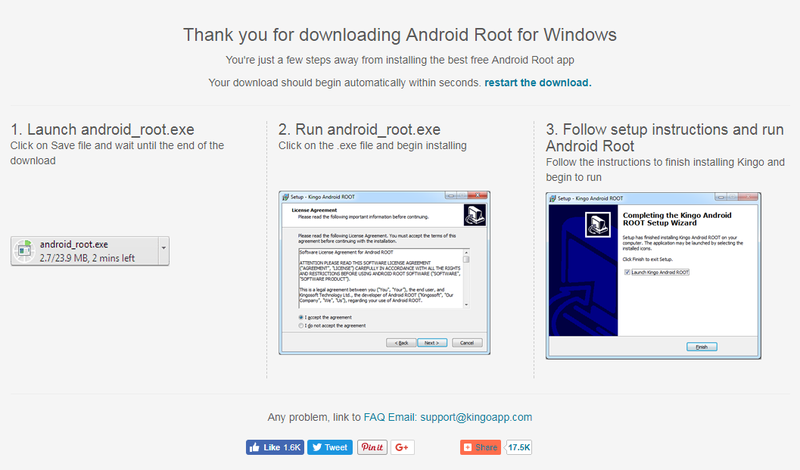 Free download and install KingoRoot Android (PC Version). Just download and install it now. 2. 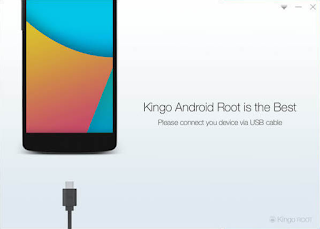 Double click the desktop icon of Kingo Android Root and launch it. driver is not installed on your Computer, Kingo will install it for you automatically. Make sure you get Internet conenction so that device driver can be downloaded. If you are using Windows 8, you may need to change some settings first. encounter is driver installation looping. 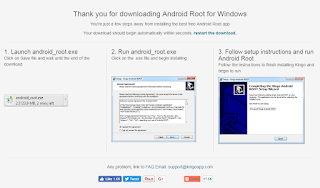 enabled is a necessary step of Android rooting process. IMPORTANT: Pay attention to your device screen for a prompt window. device may open a door for you, and yet with risks. or perform any operation on your device. rooted by Kingo. Until your device reboots itself, do not operate. "SuperUser" installed on your device after successful rooting.